The exceptional acoustic properties of the building were explored as the choir sang from different locations a varied selection of works drawing from its varied plainsong and polyphonic tradition. Composer William Byrd, writing motets for the forbidden Elizabethan Roman Catholic rite, was sheltered and supported by the original Lord Petre whose direct descendant “Lord Concrete” Francis Petre designed this cathedral. Three historic 19th century English organs offered representative works by J.S. Bach and his sons, including an organ concerto by the “London” Bach, played on an instrument that he might have known. 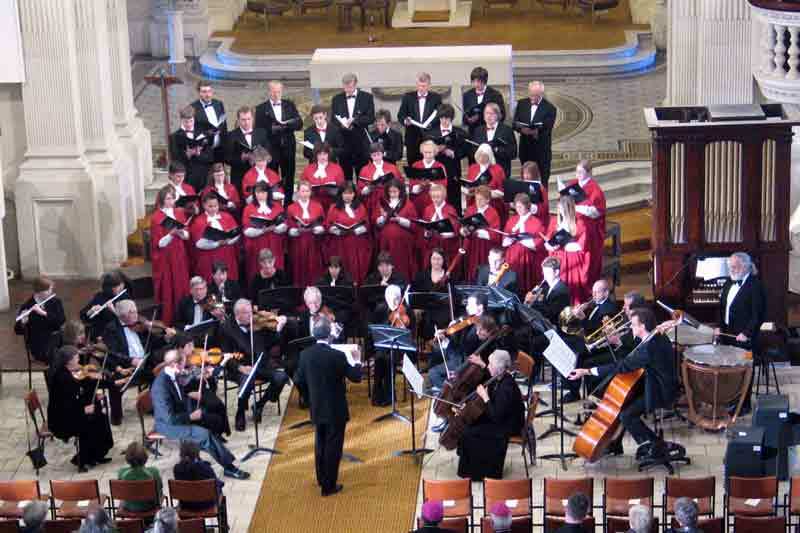 Several compositions in the programme were musical masterpieces which originated for the traditional feast day of St John the Baptist, patron of the Christchurch Diocese, being celebrated on this Sunday. Some intriguing connections were explored – such as the plainsong hymn for the feast, which opened the programme. Titled Ut Queant Laxis, it was the origin of the sol-fah method of singing instruction, invented around the 10th century by Guido d’Arezzo. Another work inspired by the day was Mozart’s joyful Inter Natos Mulierum, for choir and orchestra. 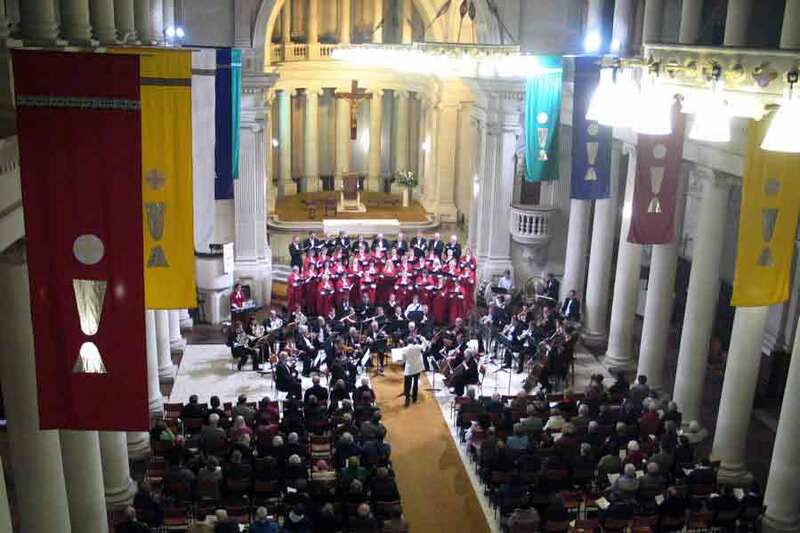 Two Mass settings highlighted the centrality of this art form to the Church. 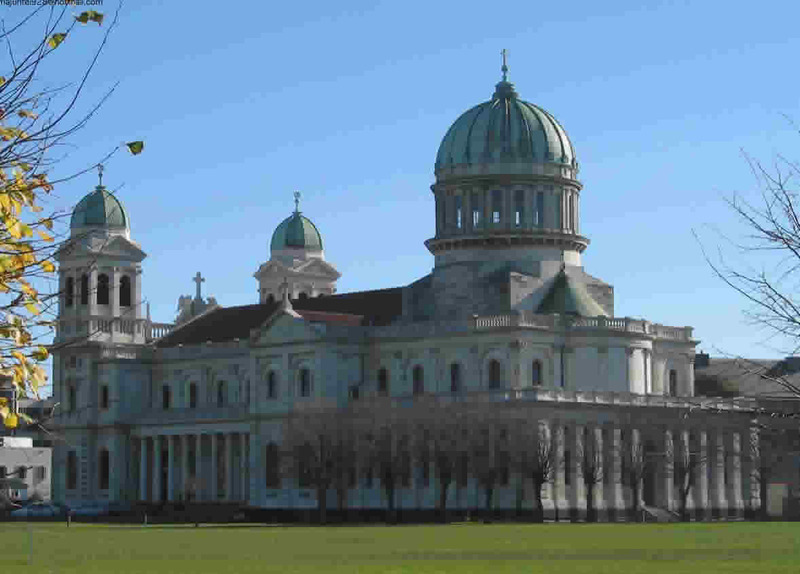 Contemporary Christchurch composer John Ritchie wrote his Missa Corpus Christi for this building, and it has been performed to acclaim in many similar European cathedrals. The concluding major work was Haydn’s Heiligmesse. It is thought to be the first of the great six settings which he wrote at the end of his life, compressing all his symphonic power and creative genius. The name comes from his incorporation of the German “Holy, Holy” into the music, and it was the piece chosen by a specially assembled Christchurch choir in 1878 for the public concert which unveiled the Halmshaw main cathedral organ. 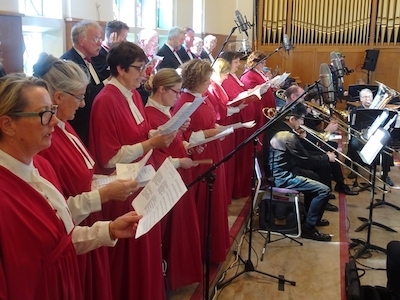 It is an exceptionally lively and celebratory composition, with stirring accompaniment from the orchestra, led by David Williams, with Ellen Doyle leading the lower strings. The conductor was Don Whelan. 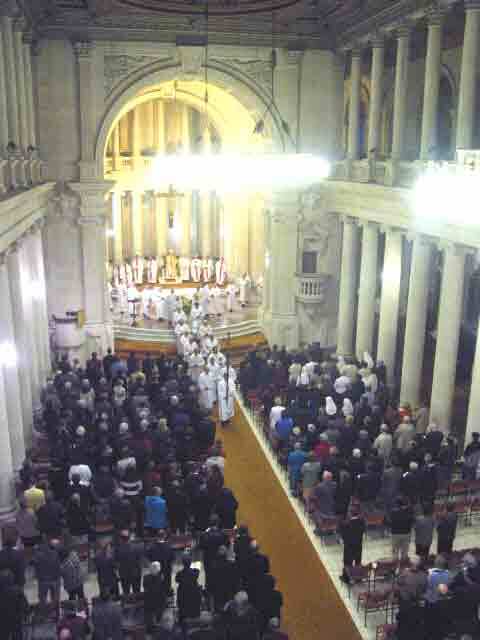 The anniversary of our cathedral opening day was marked during the Solemn Mass at St Mary's Pro-Cathedral. Chris Archer's Centennial Mass was presented, together with Palestrina's Jubilate Deo and I Was Glad by Parry. The festive Gloria was by John Rutter. A brass and percussion ensemble, led by Bruce Roberts, accompanied the cathedral choir, with soloists Sue Densem and Elizabeth Emeleus. The organist was Graham Hollobon, and Don Whelan was musical director.